Elena Greco and Lila Cerullo live in the same neighborhood and go to the same school, but their paths in life quickly diverge after middle school when Lila drops out. However, they manage to hang on to their friendship. 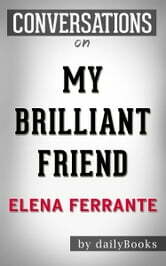 My Brilliant Friend, a book about friendship and the bonds of childhood that can persist despite the many problems that life throws your way, explores female bonding in a patriarchal society. It touches upon the themes of repression of women, male violence, normalization of violence, poverty and its consequences, and the aftermath of World War II on the people as a whole. 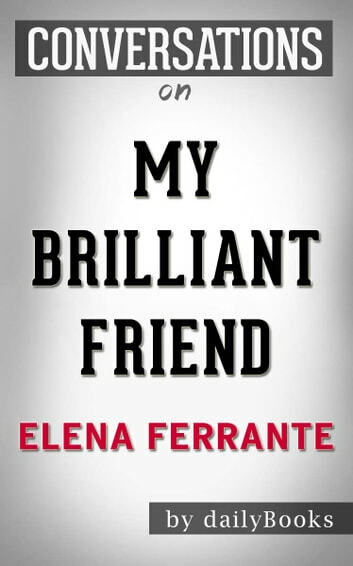 Disclaimer: This book you are about to enjoy is an independent resource to supplement the original book, enhancing your experience of My Brilliant Friend. If you have not yet purchased a copy of the original book, please do before purchasing this unofficial Conversation Starters.